Every business wants to rank high in organic search, at least they should! If you don’t obtain a spot on the first page, sixty percent of internet users won’t find you because they won’t take the time to click to the next page. The higher your ranking, the closer you are to potential customers and generating more quality traffic to your website. Search engine optimization is necessary for an online marketing strategy. Strategic optimization to your website will help it perform better in search engine result pages (SERPS). It is important to maintain a balance in regards to keyword text being used. It needs to be of importance, useful, to the people doing a search. Keyword phrases are a big part of how a site is analyzed by Googlebot, for example. It has to be used effectively or it loses credibility. On-page SEO is critical to achieving authority and relevance online. Make sure to include proper title tags (H1, H2, H3, etc), image optimization, page meta data, etc. Search engines evaluate your website’s relevance and readability before assigning it a position, or a ranking on a search engine results page. Keyword selection is one area that can push up your site’s ranking. They should be woven naturally throughout the text. Each page should have one or two keywords to have strong relevance. In addition to being placed within the body of text, it should be included in hyperlinks, alt tabs for images, page’s code title, and page’s URL’s. Even a small business can expand the number of pages on its website with news stories, blogs, and events. A website is regarded more relevant with five pages supporting single keywords and will rank higher than a single page with five keywords. Quality content continually added to your website can boost your ranking potential. It is wise to build links for viewers to connect with and continue their quest for knowledge. It is also important to resolving any technical issues that could drive search engines away. If you can’t be found, you lose business! You can also increase your visibility through using automated search engine submission tools. This coupled with website optimization can really impact traffic in your direction. 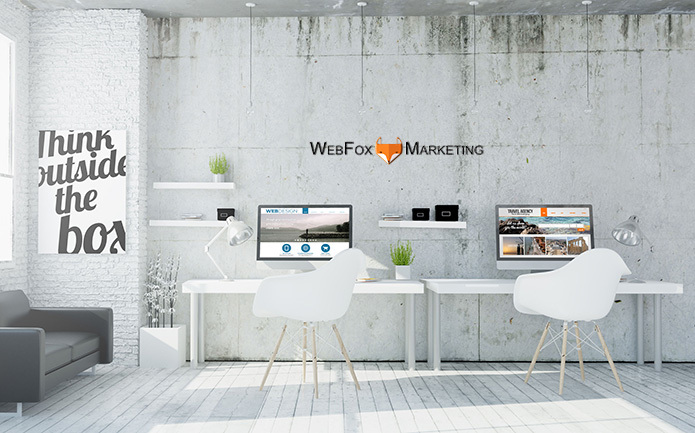 Web Fox Marketing is a website agency in Livonia , Michigan SEO as well as digital marketing experts. We serve our surrounding community near Livonia, Novi, West Bloomfield, Farmington Hills, Wixom and beyond. In addition to digital marketing services, we are knowledgeable in search engine marketing advantages, Google ads marketing (PPC), SEO services, social media marketing, and much more! A web site is the beginning, as success throughout our digital world depends on local ranking dominance and max exposure to diverse advertising channels. Our Michigan lead generation company is glad to assist you with any inquiries you may have, thank you for visiting! Contact us today and let’s get started building your web presence!